My feet take a beating during the winter. They get so dry! As we enter spring time, it’s time to pull the sandals back out of the closet and show off our feet again! Whether it’s a long day at work, a full day of shopping, or a backyard soccer game with your kids, there are times we all need a little foot pampering. I’m looking for something that soothes tired feet but is safe to use. It’s even better if it isn’t expensive, right? 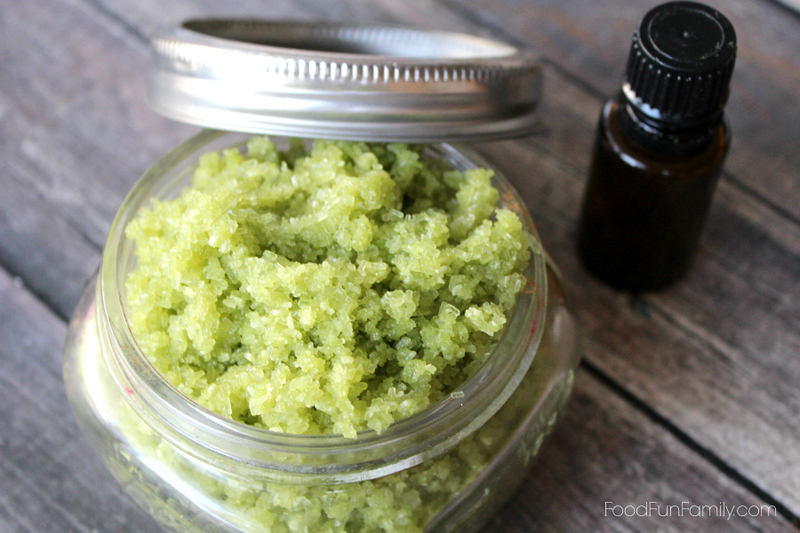 I have just the thing for you in this Lemon Mint Foot Soak. It softens, moisturizes, and leaves your feet ready for a night of dancing or a day in yoru favorite spring sandals. 1. 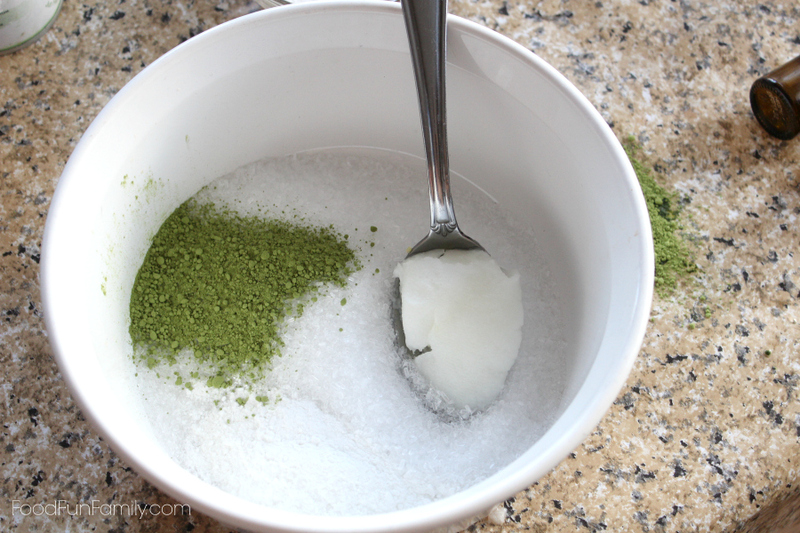 Soften coconut oil in the microwave for 10 seconds to make it easier to mix. 2. Combine all ingredients in a large bowl until evenly mixed. 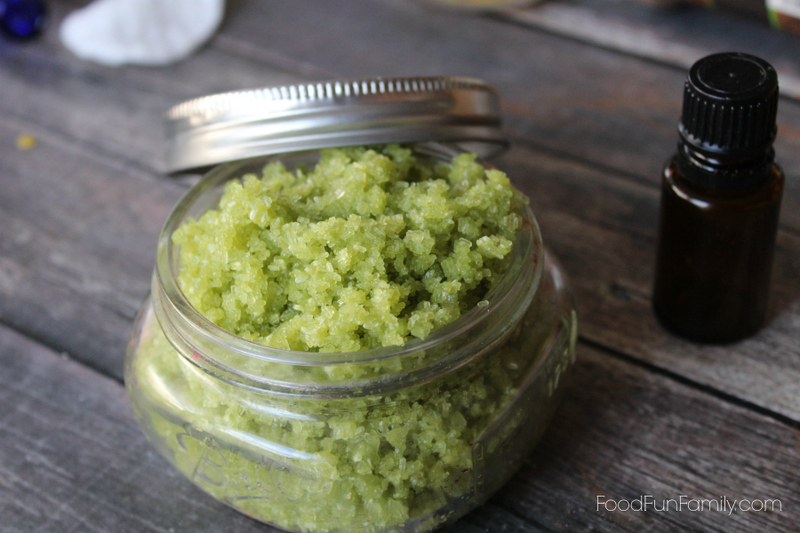 I used matcha green tea powder to give a little natural color to the foot scrub. You can leave it out if you don’t have any on hand or use a soap colorant to give it a green tint. 3. 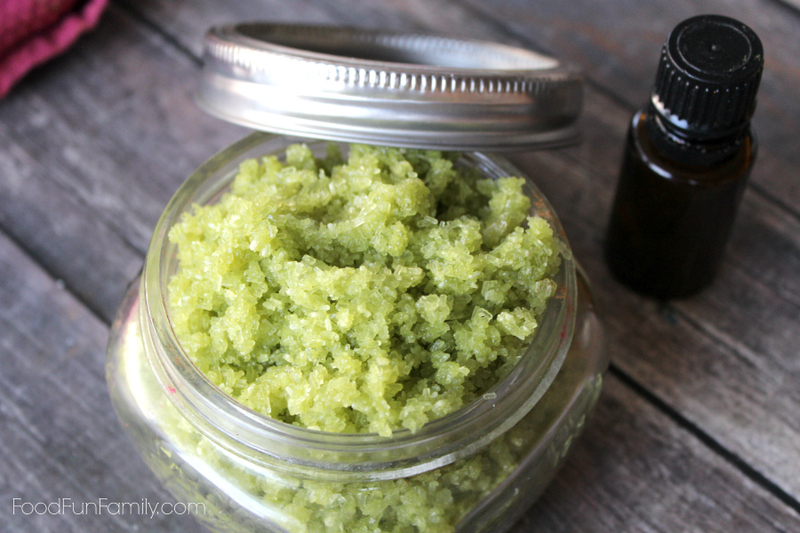 Transfer your mixture to a large glass jar – I find pretty decorative jars at Dollar Tree and at Hobby Lobby that are perfect for storing DIY beauty recipes like this. Mason jars work well too! 1. Scrub vigorously over damp feet, paying special attention to dry areas. 2. Rinse well, pat dry, apply lotion to lock in moisture. Ta da! Your feet are ready for the spring! Gilded Eggs for Easter – How Was Your Day? 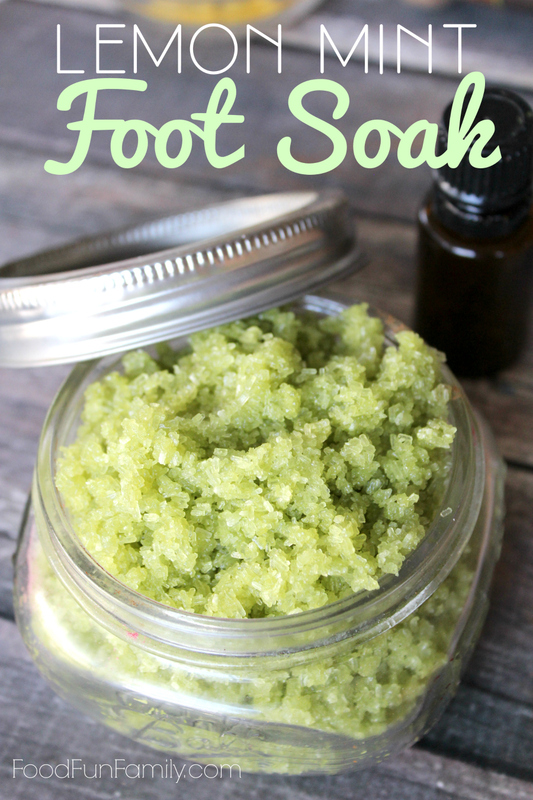 I had to pin this recipe to make my feet are a mess always being barefoot in the garden my feet get dried and cracked. My mint went a little crazy over the winter – it has some blemished spots that wouldn’t be pretty in a food dish but I think it would be perfect for this. Would make some great presents as well! This sounds really nice and would make a nice Christmas present. Oh, I bet this would feel great. I have diabetic foot problems, so I’m always looking for something that’ll help. 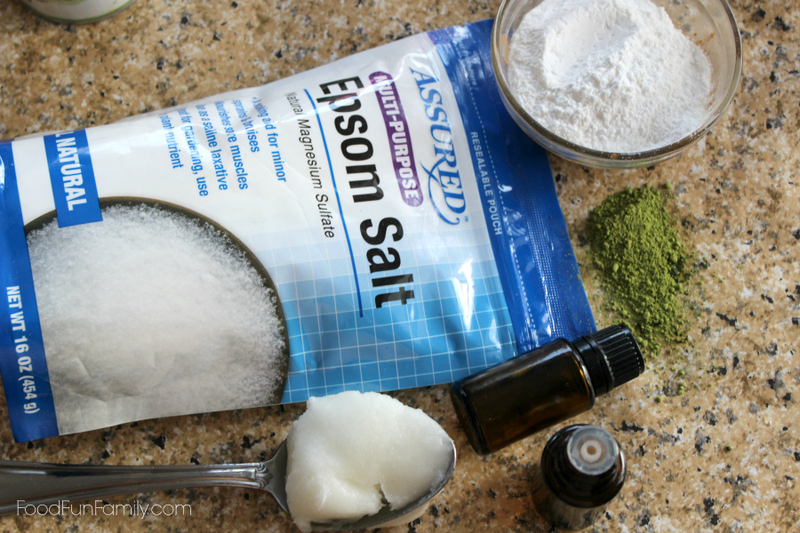 This foot soak would be really great to try. It looks easy enough to make. Your foot soak made with lemon and mint sounds amazing! I want to make it and use during the Spring and Summer months. Thanks for sharing! Who doesn’t need to pretty up her feet when winter ends? It’s so dry here in Western CO and with furnace going all winter skin dries out. I use a ped egg on feet in shower then after I get into bed spread lotion on my feet, let lotion dry then put socks on. Usually have socks on all the time so how do feet get so rough? Does sock take moisture out of feet? Even during summer wear socks of some style. Can hardly wait to try this, like that it’s something I can afford. So many solutions on market are just too expensive for my budget. If I like it will make some for gifts. A foot soak sounds great. I love soaking in Epsom salts. The added lemon sounds great.